Molten Lava Cakes or chocolate lava cakes are so ezee to make and taste just like the one's you get it in any fancy restaurant. This is a flourless cake(some use 1/2 cup flour though) which can be made with just 4 ingredients, butter, chocolate, sugar and eggs. If baked perfect it gives you a firm texture outside but will be runny(lava) inside. I believe there is no point in making a lava cake without the lava inside, but still I've seen some people baking it for few more mins to make it firm inside as well as they don't like it runny. Would again say it is all personal choice :). 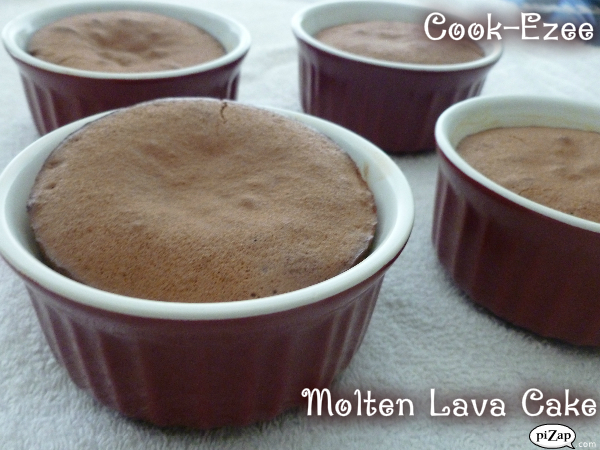 Serve this darling lava cake with a scoop of vanilla ice-cream or whip cream or a dash of powdered sugar, it is a heavenly treat!!!! Pre-heat the oven to 400 degree Fahrenheit. Grease four ramekins or custard bowl and set aside. In a bowl add sugar and eggyoks and beat it in high till they are creamy. Add the chocolate-butter mixture to the beaten egg york mix and stir gently to mix everything well. Fold in the egg whites gently with chocolate mixture and mix till everything mixes evenly. 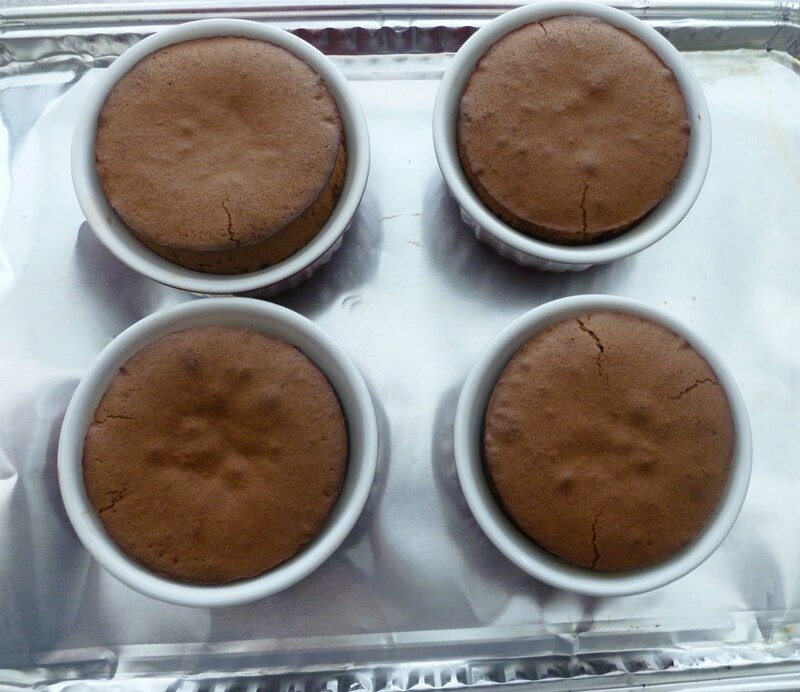 Pour the mixture to the greased ramekins and bake for 7-9 mins till the outside is firm and inside is runny. Take out and set aside to cool down but not fully. Place a plate on top and turn it upside down slowly, with you hands hit gently on top of the ramekins so that the cake comes out pan clean. Serve warm with a scoop of vanilla icecream or whipped cream. Enjoy!!!! I have to try this recipe, it looks so easy to make. The step by step photos and instructions are great. Thanks for sharing. Great blog, fantastic recipes.